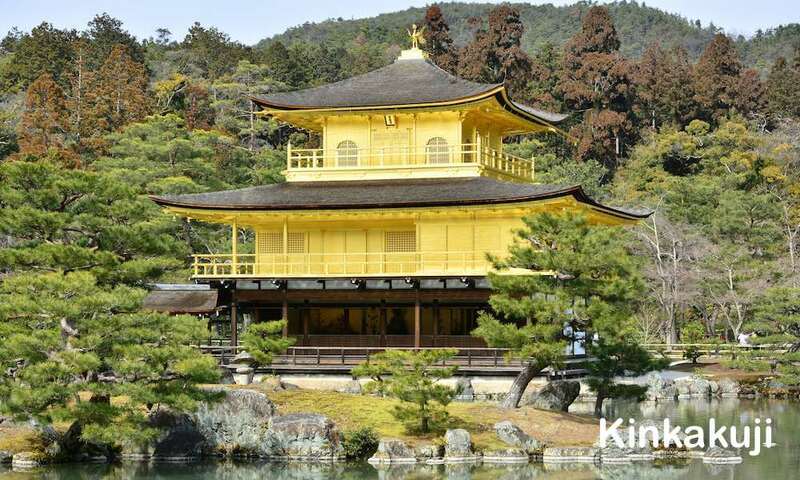 Kyoto (京都) served as capital city of Japan and was the emperor's residence from 794 to 1868. 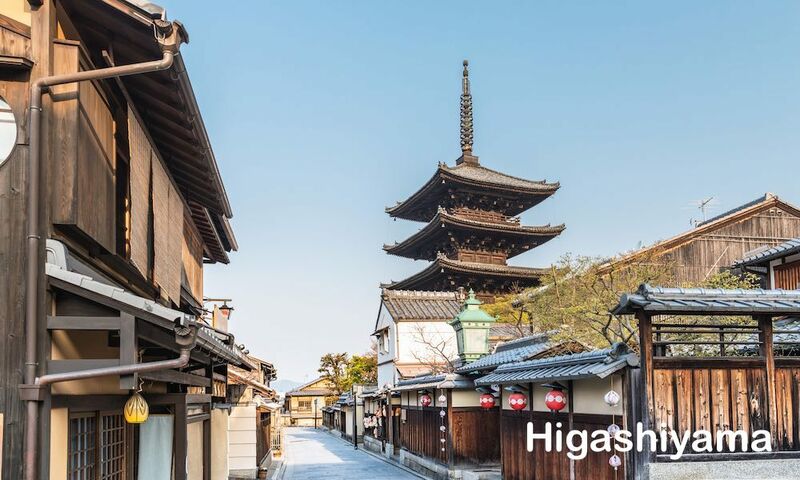 Kyoto is known for a city with lots of historical buildings and cultures. 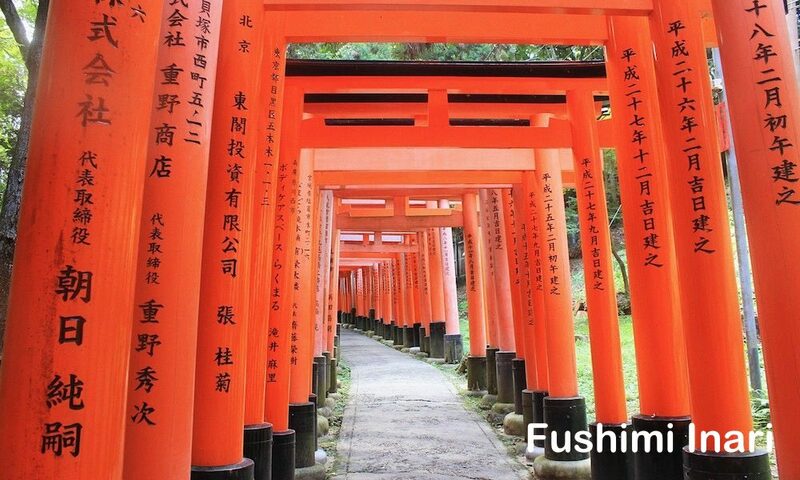 Here you will find lots buddhist temples, japanese shinto shrine, beautiful gardens, girl wearing yukata or kimono, traditional Japanese food and snacks and other historical related things. It feels like you are riding a time machine to old Japan when you visit Kyoto. 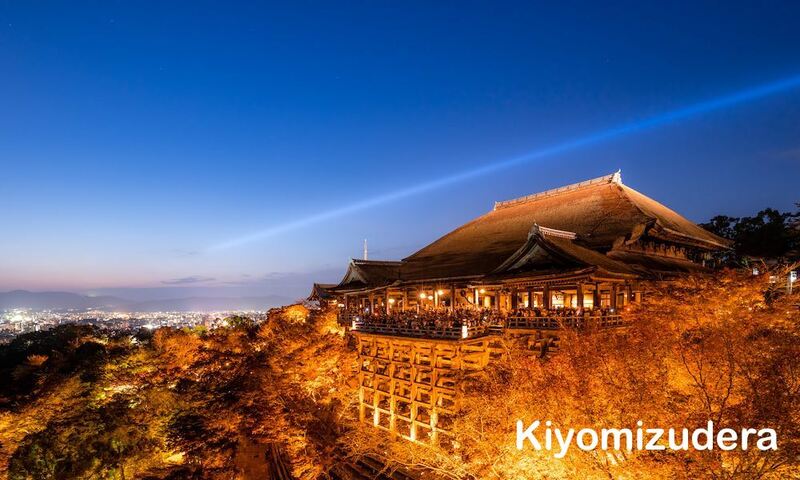 If you like Japanese culture, you can learn and see lots of Japanese cultures in Kyoto. Kyoto offers a rich culinary tradition thanks to its role as Japan's former capital and seat of the imperial court for a thousand years. Kyoto also famous for wagashi (Japanese Sweets). Below are some of famous foods and sweets in Kyoto. 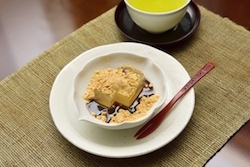 Yatsuhashi is said to be the most famous Kyoto sweets. Lots of travellers purchase Yatsuhashi as the souvenir from Kyoto. Yatshuhashi name was derived from its creator, Yatsuhashi Kengyo. It is made from rice flour, sugar and cinnamon mixed with water. Speaking of Japanese dessert, a lot people will think of mochi. Mochi is a chewy Japanese rice cake made of special rice for mochi (called mochigome in Japanese). There are lots of mochi. Some of famous mochi are as follows, daifuku (a soft round mochi stuffed with sweet red bean or white bean), ichigo daifuku (daifuku with anko and whole strawberry inside), kinako mochi (mochi topped with sugar and kinako), warabi mochi (a jelly covered in kinako), etc. 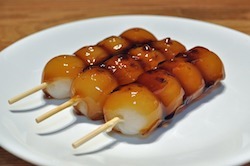 Dango is also another type of mochi, made with mochigome (special rice for making mochi). Dango is often served with green tea. Kyoto is very famous for its maccha. Lots of tourist buy green tea / maccha as souvenir of Kyoto. 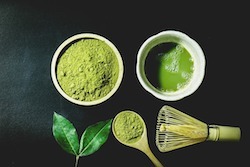 Maccha is finely ground powder of specially grown and processed green tea leaves. Green tea and maccha are often served together with wagashi (Japanese sweets) especially in Japanese Tea ceremony. Yudofu is a soft tofu cooked in hot water with vegetables which is a very simple nabe / hot pot dish. Yudofu is best eaten in winter because it can heat your body up. 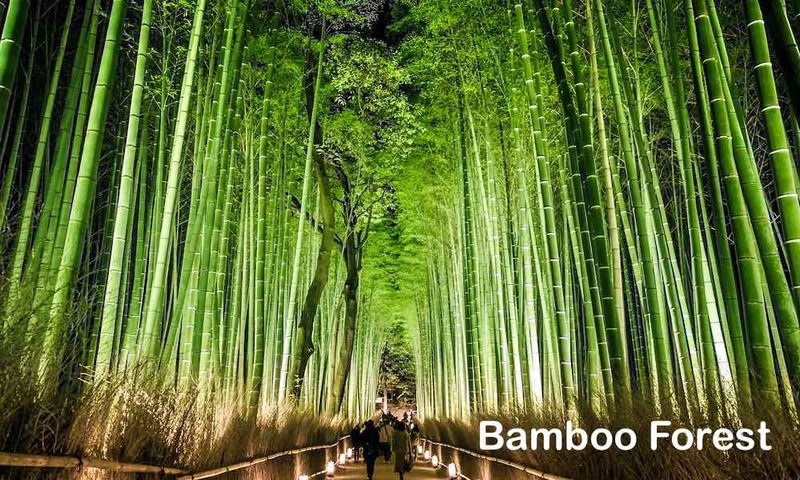 Kyoto has 4 seasons, spring, summer, autumn and winter. Kyoto Spring starts from around April to June. The temperature ranges from 10 ~ 20 Celcius. You can see beautiful sakura blooming in this season. Kyoto Summer starts from around July to September. The temperature ranges from 25 ~ 35 Celcius. Kyoto Winter starts from around January to March. The temperature ranges from 0 ~ 10 Celcius. Kyoto indeed has train and subways. However you cannot reach all tourist spots directly using trains or subways. Kyoto main transportation is bus. There are lots of buses connecting to any Kyoto destinations.